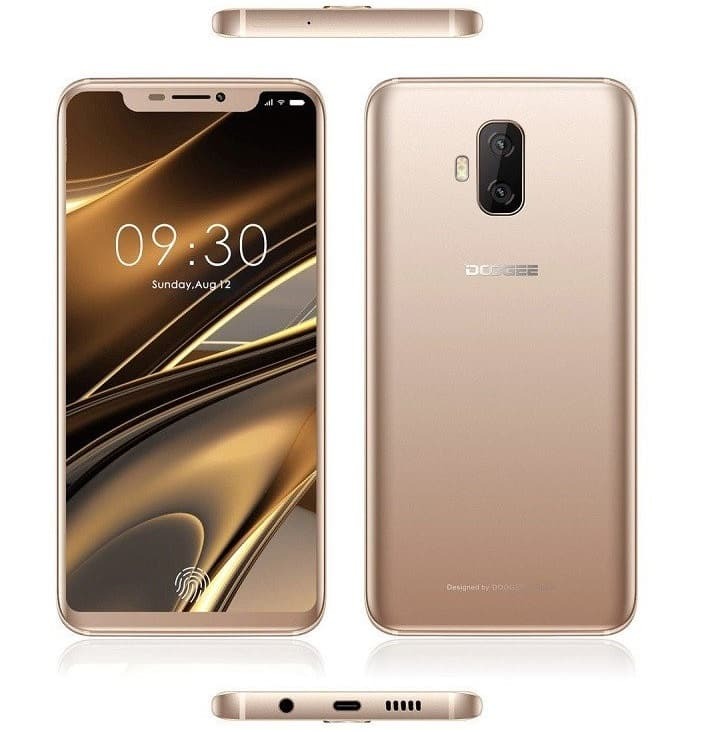 Doogee newest flagship, the Doogee V is bezel-less with a notch just like the iPhone X screen. The Spain based company is gradually expanding its presence with top of the notch phones. 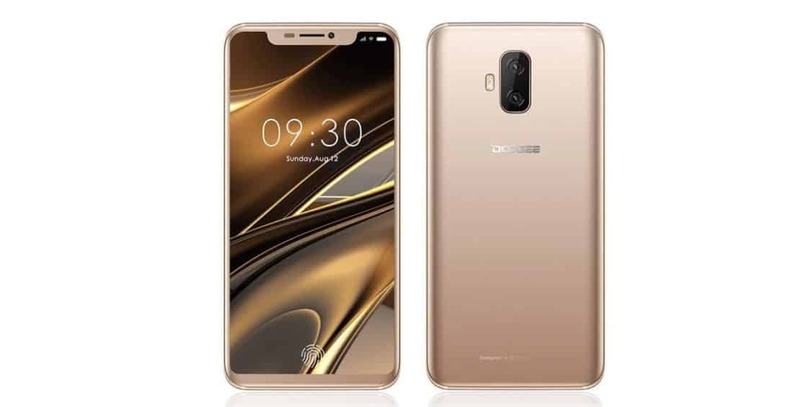 This is officially the year of the bezel-less, as the Doogee V boasts of a full bezel-less display with an affordable price. Its beauty has no boundary as it looks like a combination of the Galaxy S8 and iPhone X. Its curved edges and full narrow screen give you premium feel, while the top-notch bezel-less screen screams ‘iPhone X’. It sports dual horizontally placed rear cameras at the top middle, with a dual tone flash by the left side. The Doogee V boasts of an in-display fingerprint scanner on the screen. From the look of things, this might be the first smartphone that will successfully pull off this technology after several failed attempts by Apple and Samsung. It boasts of a 6-inch bezel-less AMOLED FHD+ screen with 2160 x 1080 pixels in resolution. Looking like the iPhone X, the screen is more stunning with curved edges like the Galaxy S8. It has 389.51 pixels per inch density, tiny bottom bezels and a top notch. Boasting of 88% screen to body ratio, 18:9 aspect ratio, 2.5D curved glass screen and a Corning Gorilla Glass protection. Under the hood is a MediaTek P40 64-bit Processor chipset, and a 2.0 GHz octa-core processor. It runs smoothly on Android 8.0 Oreo and its graphics processing unit is the ARM Mali-G72 MP3. For fast app launching and heavy multitasking, it boasts of 6GB of RAM. For storing all your files and large games, there’s a massive 128GB internal storage which is also upgradeable to 256GB. Where will you start from, the device is equipped with two front cameras and two back cameras. At the back, there’s a main 21MP + 21MP camera which takes 5K resolution images and portraits. While at the front, there’s a 16MP + 16MP selfie shooter with front flash, for the best selfies. Doogee V is powered by a 4200mAh Non-removable battery with fast charging feature. Doogee V is not available yet, but it is expected to be priced from $300 – $350, that’s about N110,000 – N160,000.